For the youth, for mining communities, and for entrepreneurs. Those are the people Blessing Ramobaâ€™s party Rebuild South Africa (RSA) wants to represent. The party launched in December 2018. It punts itself as a movement bringing together workers and activists â€œto pursue the struggle for economic liberationâ€. The Daily Vox spoke to Ramoba about what his party is bringing to the political space. 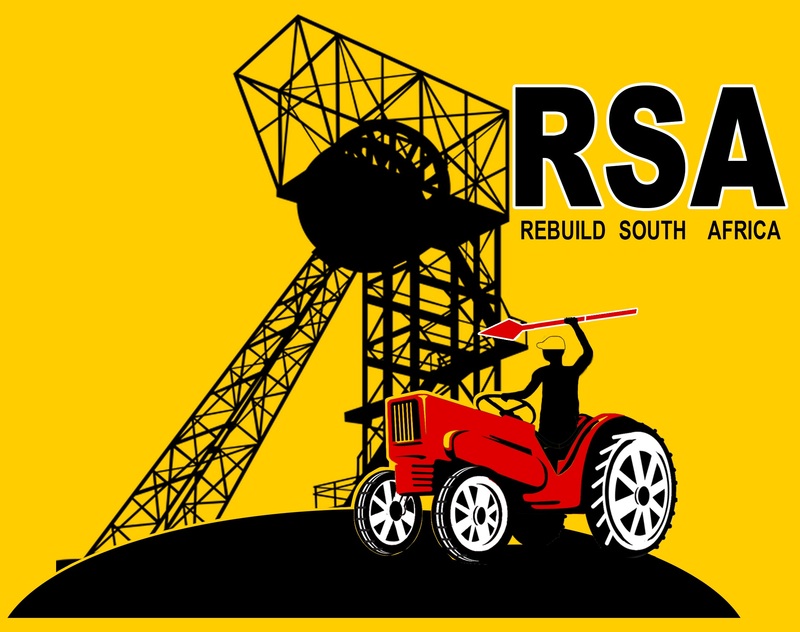 Rebuild South Africa emerged from the Mining Forum of South Africa. The Forum is an organisation which works to enforce the Minerals and Petroleum Resources Development Act, the Mining Charter, and Social and Labour Plans. Ramoba says the forum advocates for mining communities in the mining space. Additionally, they look at issues of entrepreneurs in the mining sector especially the small ones in terms of Black Economic Empowerment (BEE) promotion. The party started when the forum realised they did not have influence over the crafting of political policies for the mining community. â€œWe sat down to discuss these issues about the lack of political will within the African National Congress (ANC) to make mining companies compile with the regulations of the mining industry,â€ he said. While not expressing any aspirations about becoming national government, Ramoba’s convinced the party will be part of the government come May 2019. â€œWe believe we have a chance of being a part of the government in 2019,â€ he said. Forming out of mining communities, Ramoba lists the mining communities, and entrepreneurs in those communities as their biggest supporters. He says theyâ€™ve received financial support from those communities. Surprisingly they count university students amongst their growing support base. â€œWe have got constituencies in the universities around the country. [The party] are forming branches in all of the universities,â€ he said. â€œWe have been helping the mining students with bursaries. [Rebuild South Africa] have been helping a lot of students across the country to get them employment in the mining sector,â€ says Ramoba about the work his party has been doing on campuses. The party has built on their existing support base from the Mining Forum and according to Ramoba they have a membership of 100 000. He counts Gauteng as the province where they have the most support. Education and employment makes up the main policies the party has for young people. Ramoba says there must be education for young people to prepare them for the future. â€œWe need to prepare our young people to be capable in the future to make sure that we accommodate them in terms of the fourth industrial revolution,â€ he said. After young people leave institutions of higher learning, Ramoba says they must get jobs. â€œOn our website, we say that young people must not sit for more than 90 days. 90 days must be the period where even while you are sitting a job must come for you,â€ he said. With regards to the land, the party is calling for a fair and proper distribution of land and the securing food security for people. Ramoba says: â€œWe agree with land expropriation without compensation but we do not agree with the land grabs. There must be a proper transfer for land to the disadvantaged and those who want to farm.â€ Rebuild South Africa says only those who want to work the land should get it regardless of skin colour. Ramoba says the land distribution should begin with the government land which is not used. â€œIn terms of housing they must identify land which is not being used and expropriate it to build houses especially when looking at the crisis that Gauteng already has. The state already has a lot of land under the state capacity but the ANC government has failed to ensure that that land is distributed in order to accommodate those that donâ€™t have land,â€ he said. The party is under the impression that if the land isnâ€™t properly distributed it will badly affect the economy. Ramoba says Rebuild South Africa a force and organisation that will bring new ideas into the politics of South Africa. â€œAs an organisation we are willing to sacrifice ourselves for South Africa in terms of governance of this country and to improve the economy,â€ he said. He says there needs to be a creation of policies which favour the conditions of employment. â€œOne of our policies is we are saying we must protect our borders. We are saying we must protect our borders to root out crime which exists in the country. Soldiers who are sitting should be deployed to protect borders,â€ he said. The party says this will ensure the safety of South Africa creating jobs, growing the economy, and implementing the policies.